They’re the homeowners and consumers of the future, and it seems that children are embracing the need to go green in a big way. Our research reveals that almost a quarter of British parents now say that their kids know more about being energy efficiency then they do. This increase in awareness is a direct result of ‘green jobs’ around the home becoming a regular part of the whole family’s day-to-day housework routine – with one in five Brits now spending up to half an hour a week on eco-friendly tasks, and a quarter dedicating up to 20 minutes to energy-efficient measures. We found that simple tasks like turning off lights and recycling kitchen and household waste were most popular – with an average household now recycling five glass bottles, five tin cans, up to 15 plastic bottles and containers as well as more than 30 pieces of paper or cardboard each week. Architect and TV presenter, George Clarke explains, the results highlight how much making green changes have become ‘the norm’ in the UK. It is clear that these eco activities are not only good for the environment but also financially beneficial; with more than half of us admitting we could be wasting money by not being more energy-efficient at home. Pilkington energiKare™ is different from standard double glazing as it works in two ways; It reduces the amount of heat lost through your windows and it also allows more heat (energy) from the sun in through the window. This effect is known as solar gain. 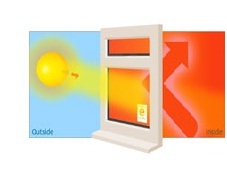 Pilkington energiKare™ is made up of two special types of glass, Pilkington K Glass™ the UK’s best selling low-emissivity glass, which stops heat escaping, and Pilkington Optiwhite™, a special “extra clear” glass which aollows more solar heat through the windows. The use of argon gas filling or air filling with warm edge spacer further improves the thermal performance, and your home benefits by feeling warmer without the need to turn the heating up. 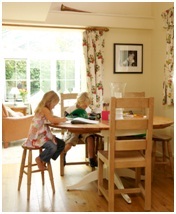 Pilkington energiKare™ glass can reduce 75 per cent of energy lost through windows, and can help people to save up to 20 per cent on heating bills, compared to single glazing units. For more information on this specific glazing solution as well as information on all our other products, please visit our official website.